The U.S. Department of Justice announced that it has settled allegations against a Stockton, California oncologist for dispensing counterfeit and unapproved chemo drugs to his patients. Under the terms of the deal, Dr. Neelesh Bangalore will pay the government $736,000. As part of the deal, Dr. Bangalore was not required to admit any wrongdoing. The Justice Department accused Dr. Bangalore of dispensing Altuzan, a chemotherapy drug, to his patients. The drug was allegedly imported into the U.S. by Warwick Healthcare Solutions Inc. (Richards Pharma). Warwick is not licensed by the FDA. Worse than the licensing problems, Altuzan is not FDA approved. Although apparently approved for use in Turkey, it is not distributed in the U.S. The FDA claims it tested the drug dispensed by Bangalore and determined it was counterfeit and contained no API. This month’s settlement involving Dr. Bangalore and counterfeit Altuzan (bevacizumab) is not the first time counterfeit Altuzan is reported to have been distributed in the United States. In addition to counterfeits allegedly imported by Warwick Healthcare, private recalls and FDA warnings suggest some batches of Altuzan imported or distributed by Clinical Care, Quality Specialty Products (QSP), Montana Health Care Solutions, Bridgewater Medical, Ban Dune Marketing (BDMI) and Medical Device King (Pharmalogical) may also be counterfeit. The allegations arose under the federal False Claims Act, a whistleblower statute that allows insiders to brings claims on behalf of Medicare and receive a percentage of whatever the government collects. 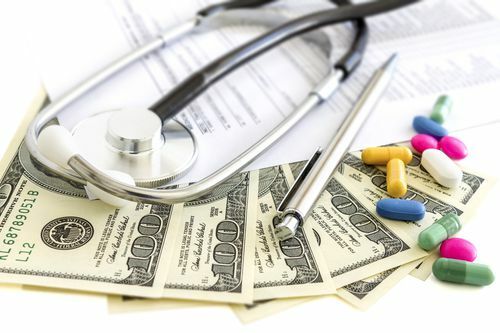 Awards are often quite large because the Act allows the government to triple damages and assess penalties of up to $11,000 for each claim submitted to Medicare. There are no reports of any patient deaths in connection with the most recent scandal. We remain quite concerned, however, about the prescription medications found in our medicine cabinets, hospitals and physicians’ offices. When doctors prescribe non-FDA approved drugs from non-licensed distributors, problems like this are bound to happen. As an advocacy group, the Pharmaceutical Integrity Coalition encourages those within the healthcare industry to step up and stamp out bad drugs. We help insiders manage the whistleblower process and can help you decide whether to seek an award or report anonymously.